Donating to families in need and Christmas caroling are something many organizations at Rose do, and this year, the Rose chorus has brought them together. They collected a two-can admission for the concert on Nov. 23 at five o’clock instead of a monetary admission. Chorus Director Karen Meetze started the two-can admission three years ago. The cans are usually collected and taken to the homeless shelter or the Greenville food bank. This year, the cans went to a Rose student and his family in need. “We do the two-can admission to help with others in need and our community service project,” Meetze said. Meetze let the chorus members choose the songs they wanted to sing at Sounds of the Season. She also let the students choose their partners. For a little over a month, she helped the students practice singing in their vocal range during class, SMART Block and after school. She also prepared the students by taking them to the PAC to rehearse on stage to get used to the space. “I took them to the PAC so they could get over the nervousness and used to singing with the lights on them,” Meetze said. “I was nervous at first but when I started to sing I was fine,” Boyd said. Boyd prepared for this by practicing her song at home for an hour every day. However, she said the hardest part of preparing was getting over all her nervousness. Despite this, she said it was worth it to donate the admission cans to someone in need. Junior Kaymber Felton has been singing at Rose since she was a freshman. She sings in the alto section. Felton sang “The Christmas Song” and “Santa Claus is Coming to Town” with Taliah Wheatley. The songs that she sang were her favorite. Felton practiced three times a day to prepare herself for this. Felton said the two-can admission was a good idea to help others in need. “While I was singing I felt good but I was a little nervous before the show,” Felton said. 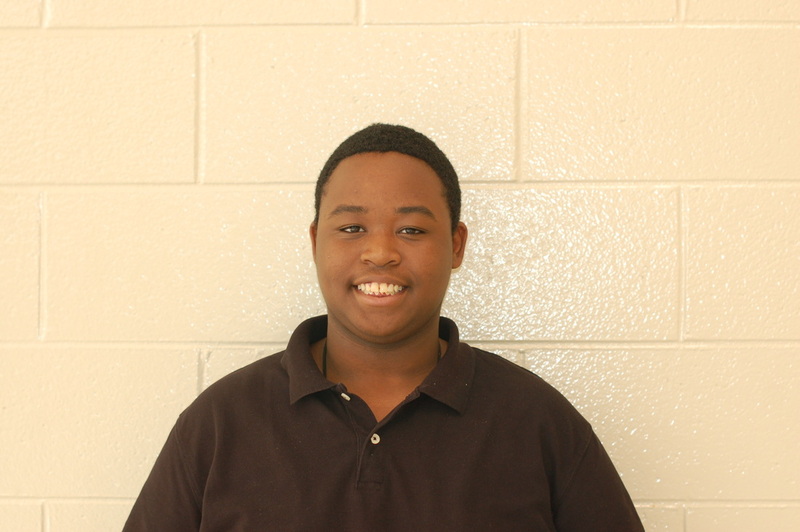 Senior Jonathan Spell said he has been singing since he he was a freshman at Rose. He sings in the tenor section. 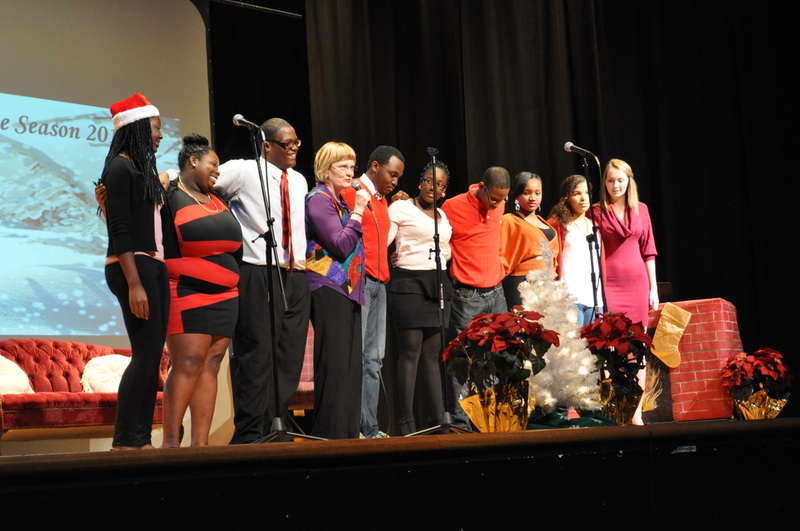 Spell sang “White Christmas,” “Eight Days of Christmas” with Precious Williams and Chelsea Foggs, “I Don’t Want to Spend Another Christmas Without You” with Precious Williams, and “Merry Christmas, Happy Holidays” with Meetze and some of his classmates for the finale. “I have always wanted to sing a trio with my best friends Precious and Chelsea, so that is why I chose those songs,” Spell said. To prepare for the concert, Spell downloaded the songs to his phone and printed the lyrics. However, he said the hardest part of preparing was learning “Eight Days of Christmas” because the tempo was fast. “The Sounds of the Seasons had a great success, we had a lot of cans donated and the family was very surprised when we brought them the food,” Meetze said.